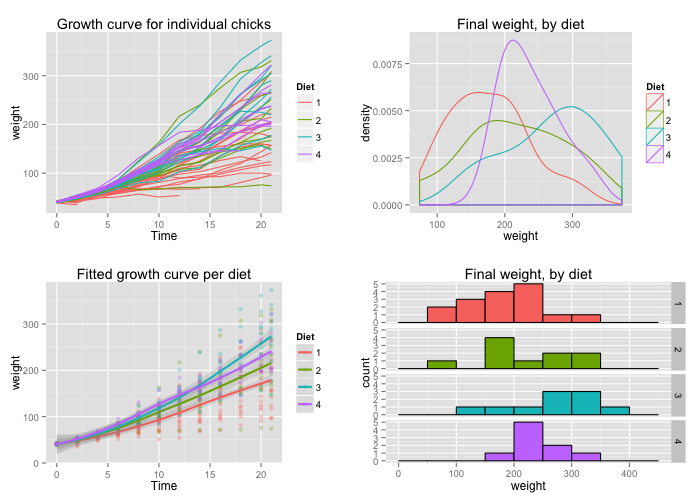 The easy way is to use the multiplot function to put multiple graphs on one page, defined at the bottom of this page. If it isn’t suitable for your needs, you can copy and modify it. You want to put multiple graphs on one page. First, set up the plots and store them, but don’t render them yet. 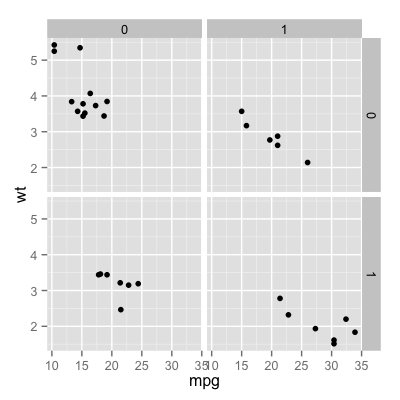 The details of these plots aren’t important; all you need to do is store the plot objects in variables. This is the definition of multiplot. 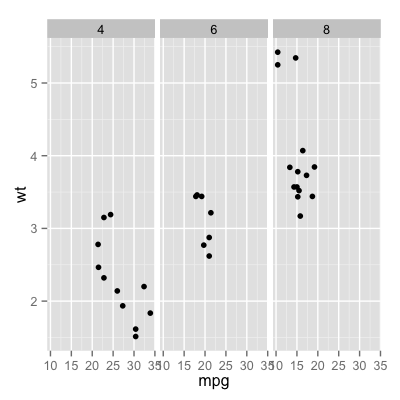 It can take any number of plot objects as arguments, or if it can take a list of plot objects passed to plotlist. #> geom_smooth: method="auto" and size of largest group is <1000, so using loess. Use 'method = x' to change the smoothing method.